I, like I'm sure many of you, am a huge YoungHouseLove fan. YHL was one of the first home improvement blogs I started following almost 2 years ago and I've been inspired to DIY more times than I can count. This week Sherri challenged her readers (along with the readers of BowerPower, Style by Emily Henderson -yes, that HGTV Emily Henderson, and Making a House a Home) to a Pinterest Challenge. Anywho, the gang is challenging anyone and everyone to stop pinning and start doing. All us Pin-whores have enough inspiration to keep us busy with projects for the rest of the year, so it's high time we start knocking some of them out. Unfortunately, the deadline to complete a Pinspired project is Tuesday, August 2nd. Which is the day I'll be getting back from being out of town (yep, I've been out of town all along... hence my lack of response to your comments, so sworry!)... So I thought, I'd re-share a project I did earlier this summer that was inspired by my Pinterest loving. You may remember this was previously on my Summer To-Do List... and I'm literally mid-project, but like I said, I won't be able to complete it before the deadline - boo! See, I have proof! August is already shaping up to be a creative little month, I do have quit the few things to check out my To-Do List after all! Are you partaking in the Pinterest Challenge?? 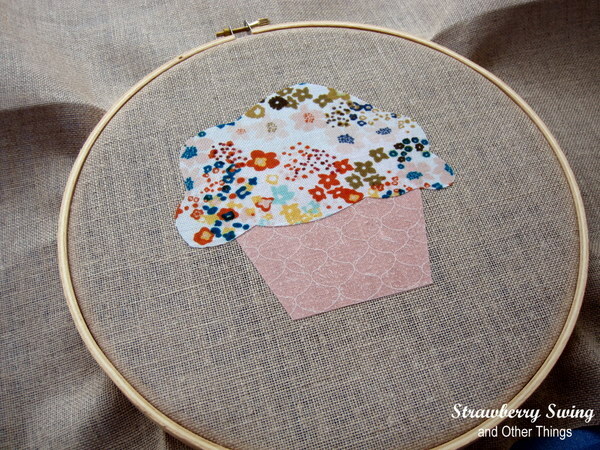 I can't wait to see how your cupcake project turns out - I love the fabric you chose! Oohh I love the cupcake...so so cute! 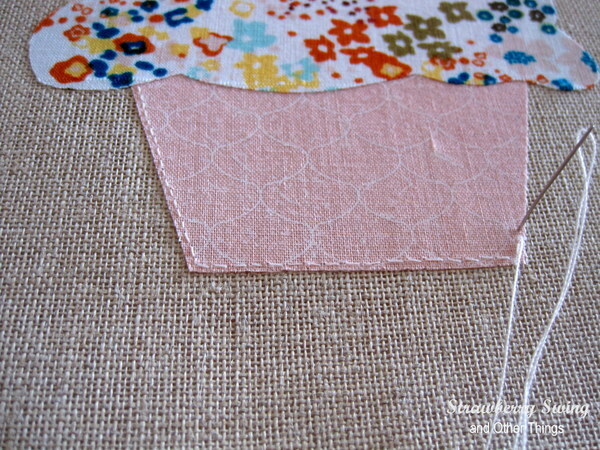 I need to be more crafty...this is a great challenge! This is a great challenge! 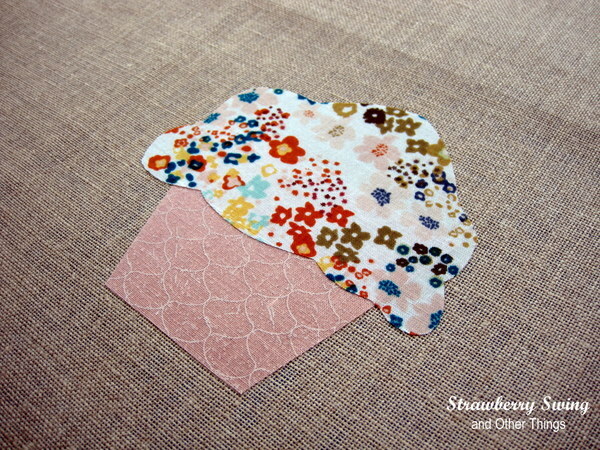 I sometimes have to remind myself that the reason I peruse the internet for ideas is to find projects to DO, not just to say "ooh that's pretty" and file it away for ages. Oh man, wish I had heard about this sooner...I would have loved to participate! 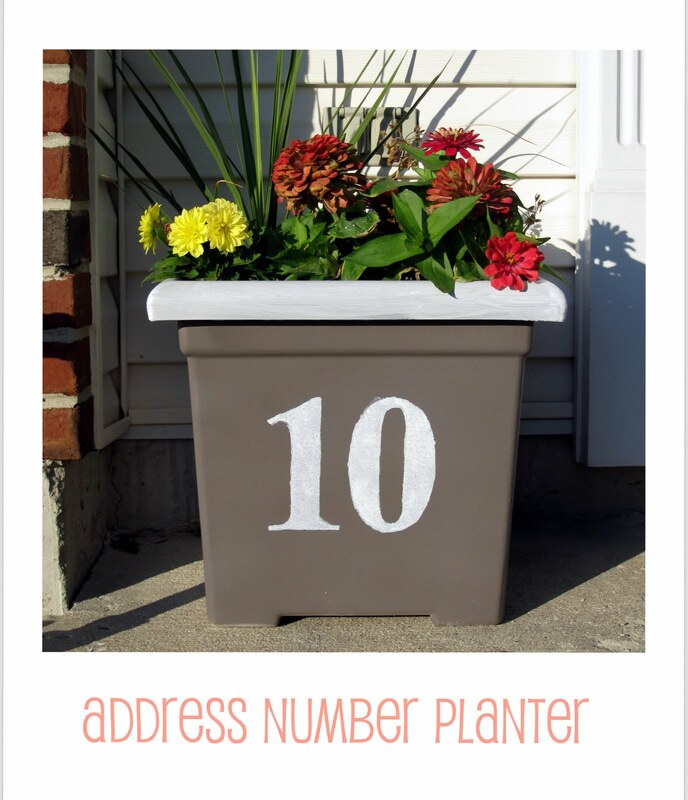 Love your address # planter. It's adorable!